For Winter, Nike Sportswear continues to unleash more color themes of the Nike Air Force 1 Ultra Flyknit Mid. The latest edition we have to share is known as ‘Palm Green’. 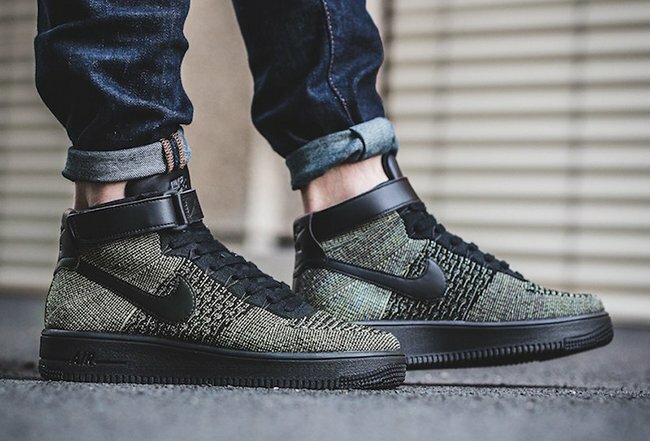 As you can see, this Nike Flyknit Air Force 1 uses a Palm Green, Black and White color combination. 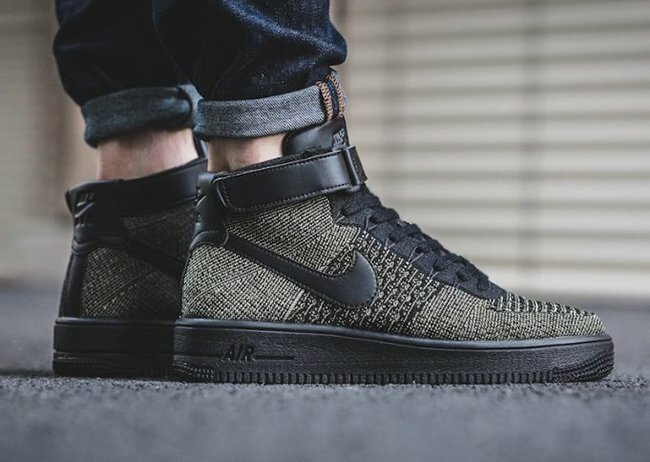 Across the uppers if Flyknit with hits of Green and Black. Following we have Black leather that lands on the Nike Swoosh, heel tab, ankle strap and tongue. 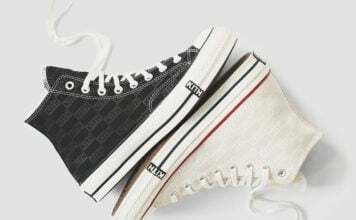 Finishing the look is Black on the midsole and outsole. 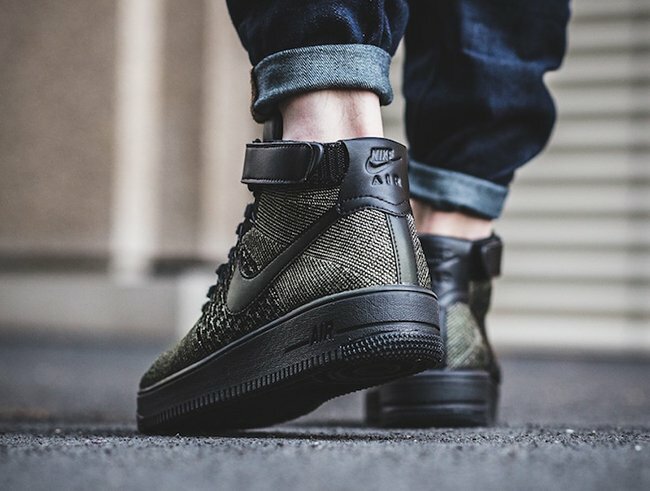 For those that want to check out more images of the Nike Air Force 1 Ultra Flyknit Mid Palm Green, continue to scroll below which will show you how they look on feet. They are now arriving at select Nike Sportswear retailers overseas which includes Titolo. Retail price is set at CHF 189.90 which comes out to be about $186 USD. At the time of writing, most sizes are still available.